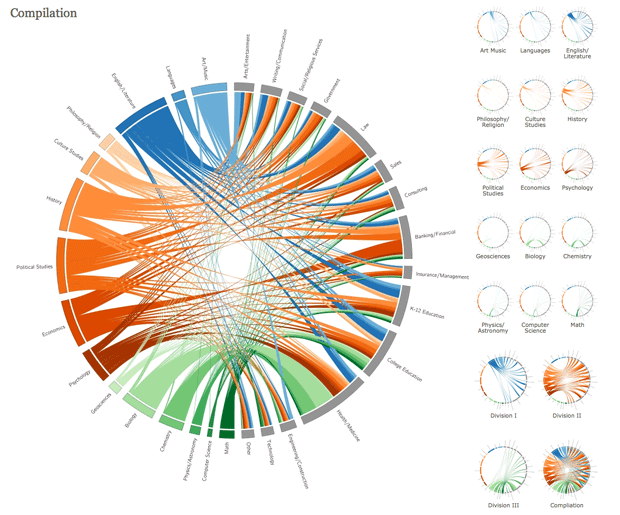 Thanks to my watchful nephew Christopher P. for pointing me back to my Alma Mater to see this nice interactive visualization linking college majors to career choices. It was put together by Williams College math students and their professor using CIRCOS visualization software. Rolling over the thumbnails allows you to isolate the paths from individual majors to careers. 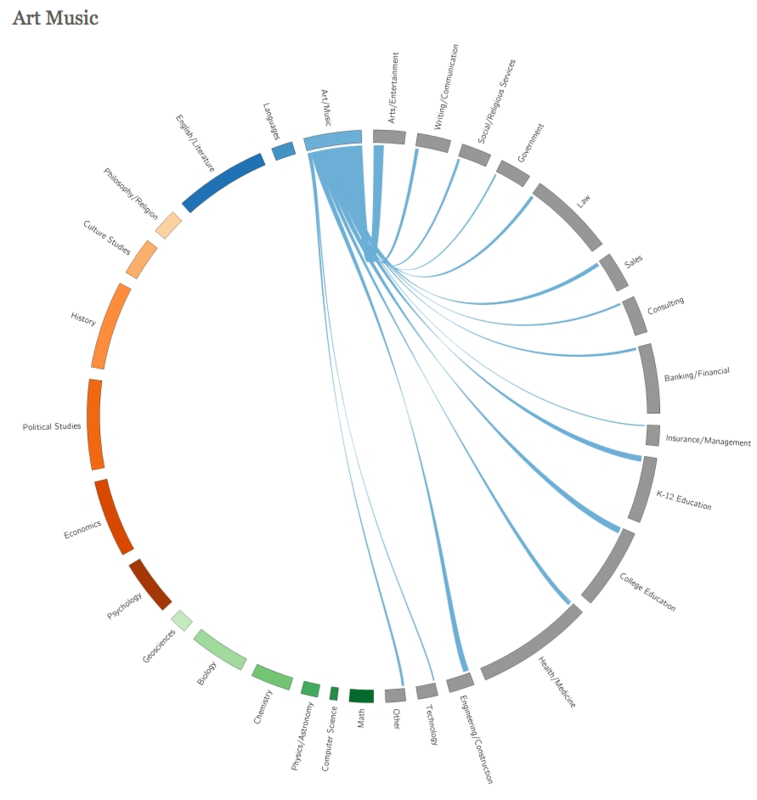 Nice use of colors to organize majors within larger groupings. I majored in Music (Composition) – not sure if I’m represented by the path to arts/entertainment, writing/communication or other. I’ve always preferred to be uncategorizable. I’m guessing Williams, as a liberal arts school, may have a more evenly distributed set of careers than some other schools. I’d be interested to see how this same distribution looks for other schools of different types and sizes. This entry was posted on Thursday, August 16th, 2012 at 10:33 am and is filed under Data Graphics, Data Visualization, Interactive. You can follow any responses to this entry through the RSS 2.0 feed. Both comments and pings are currently closed.